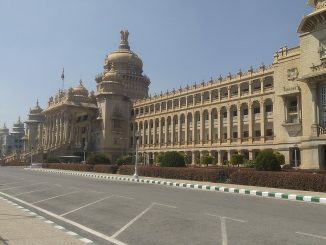 A few months ago, Bengaluru saw people from various resident welfare associations and list out their wants for Bengaluru. This was at Beku BeDa Santhe, organised by Citizens for Bengaluru. 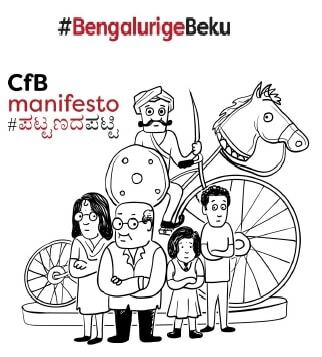 The list that came out of it, a citizens’ manifesto for Bengaluru, was submitted to various political parties. Here goes the citizens manifesto. Build roads around pe-destrians, not for vehicles! All the garbage generated in a ward stays in the ward. Release actual statistics on dengue, chikungunya etc. Full disclosure: Meera K, co-founder of Citizen Matters, moderated a session at Beku-BeDa Santhe as a resource person. Here’s what JD(S) has in store for the development of the city if it comes to power; also read individual candidates’ vision for the city. In her column, Sakuntala Narasimhan reflects how the manifestoes released during election season end up being the means used to lure voters, nothing more.